This post is intended to help guide anyone wishing to run the Transylvanian Bear Race next year, as there’s not much information out there beyond the official site. 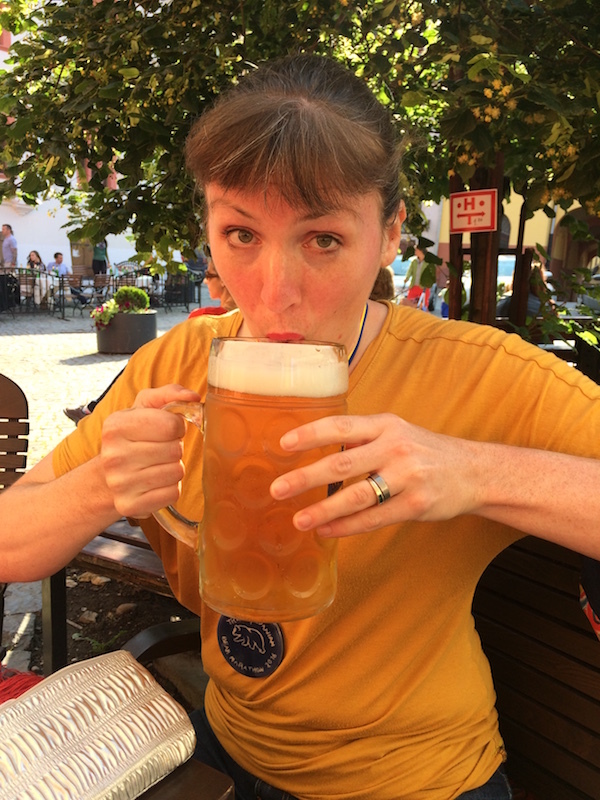 You can read my race report here, but this post is more laying out the logistics and my opinions on how you can make the most of your time in Transylvania over the race weekend. These are all my opinions and I might have an error here or there, but basically I’m answering all the questions I had before running! Flights & transfers – The race organisers did a good job of laying out all the flight options from London to the race start. I opted to go for the more expensive flight into Targu Mures (aka “Tirgu Mures” or “Transilvania”) airport which arrived very late on Thursday night, and I’m glad I did. Transfer times to/from Targu Mures were only 90/60min instead of the 4+hr transfer from Bucharest, and it meant I had the whole day on Friday to relax around Viscri village. Transfers were in vans, and the ride was comfortable right up until the potholed, dirt track leading into Viscri. Note that you should bring along a torch and a map of where your accommodation is located as the drivers just know where you drop you off and that’s it. 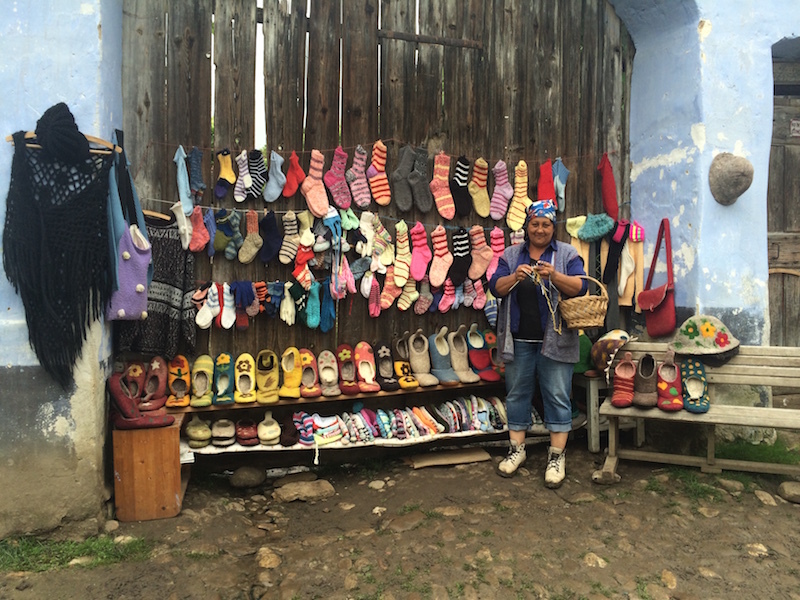 Money – Definitely bring some cash in local currency (Romanian Lei) before you get to Viscri, as no one takes cards. There is a cash point in the Arrivals hall at Targu Mures airport (and presumably at Cluj and Bucharest, too, as Targu is tiny!). There aren’t many places to spend money in Viscri, but there is a small shop selling snacks and drinks, a bakery, the fortified church (8 lei entry fee), the ladies selling hand knitted socks (about 30 lei a pair), and also lunch at Viscri 125 (also around 30 lei) on Friday if you arrive early like I did. There are plenty of cash points in Sighisoara so you really only need enough to get you through the day in Viscri. Viscri accomodation – I stayed in Viscri 129 guesthouse, which was on the main street and only a few doors down from Visccri 125, which serves as Race HQ and appears to be the only hotel, restaurant, and wifi in the village. Others who stayed at 125 were very happy with it, and I was pleased with 129, too. Experience Transylvania were super helpful in arranging my arrival at 3am and getting some groceries in the fridge for my arrival, so they certainly get two thumbs up from me! Accommodation in the open hayloft is included in your race entry, but you need to provide your own sleeping bag and mat. I didn’t see the loft myself (as it was up the hill by the fortified church) but I’m told there were plentiful toilets but no showers, and you’d be advised to bring ear plugs and eye masks as the cuckoos and cows are quite loud in the morning! Viscri village sights/amenities – Viscri is a tiny village – there are seriously only three roads, and you can walk around the entire village in about 10min. 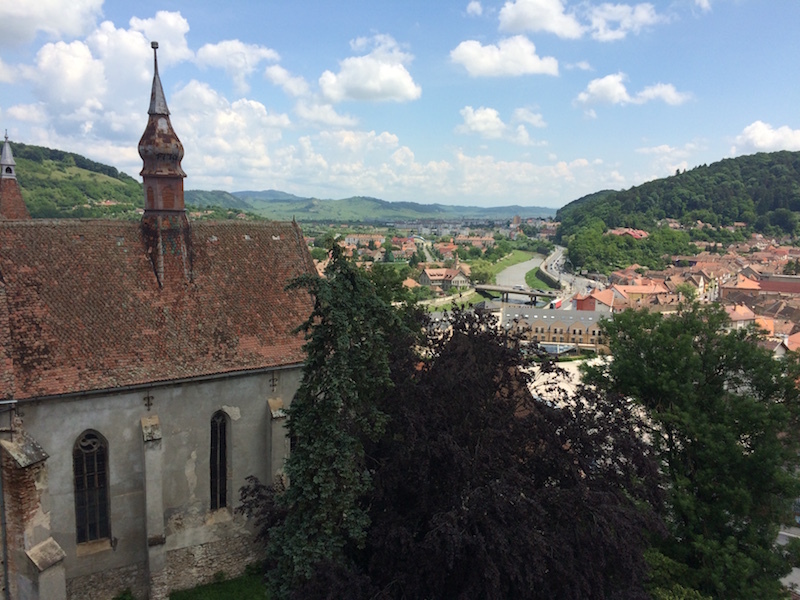 The only reason people really ever come here is to see the fortified church, which is well worth a visit for the views as well as the local history museum, which I found genuinely fascinating. You can also see the terrain of where you’ll be running the next day! Some others visited the village bakery, where you can watch them make traditional loves, and there are a few ladies selling hand knitted socks and caps on the street leading up to the church. Every morning and evening the cows go through town on their way out to pasture (and let themselves into the right house each night!!) which is about as much excitement as you’re likely to get. As a result, there are cow patties everywhere so you might want to leave your heels at home, ha! I was also surprised to find that the villagers tended to speak German instead of Romanian. Registration/briefing/pasta party – Friday night there’s a mandatory race briefing followed by a pasta party at Viscri 125. The latter consisted of pasta in a meat sauce or veggie sauce accompanied by bread, with a cash bar on hand if you fancied beer, wine, or the local plum palinka/moonshine. Directly after the race briefing was registration, where you signed a waiver and picked up your number for the next day – all very low key! Fundraising – The race is in aid of the European Nature Trust and you’re expected to raise £200 to help fund their efforts to educate the local children in conservation as well as buying up forested land to preserve. The TENT guys were on hand to help tell us what they do, and the education bus was open to poke around, too. They’re a really small and friendly charity doing a lot of good work on the ground in Romania, and IMHO the fundraising amount is quite reasonable! Route / elevation – The ultra course is ~88km and the marathon course is 47km, and you can see my Strava run details here, which include the elevation. Marathon runners had the option to be taken further up the course in a horse and cart so that it’d be closer to true marathon distance rather than starting at the church. This was still 45km, but cut out the incredibly boggy first few km, but on the downside you also miss out on starting at the church, so it’s something you’ll need to decide for yourself. Note that only the ultra course goes through the surrounding villages – on the marathon course, the only civilisation you’ll see are at the start and finish. Running surface – The vast majority of the marathon course is along a mountain biking trail, marked with crushed white chalk stone (the ultra course uses this too, with added diversions to the villages). Since it’s designed for mountain bikes, the turns are banked, there are twisty chicanes up and down steep gradients (which you’re welcome to run straight through! 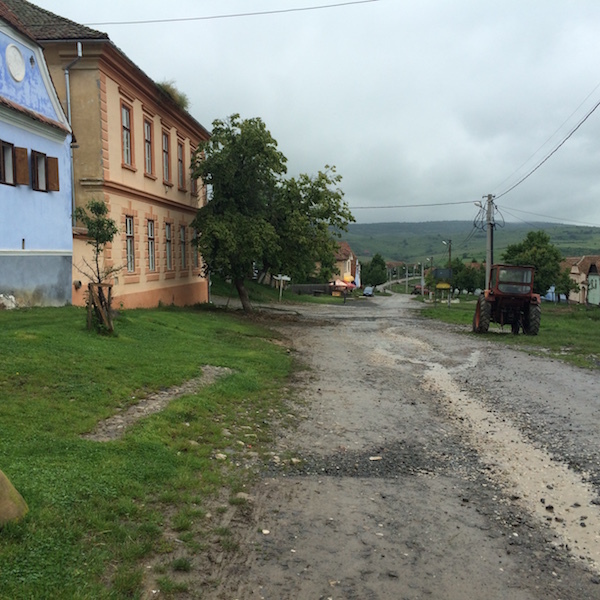 ), and the occasional jumps nearing Sighisoara. It rained heavily the night before our race so the path was pretty much continuous mud and puddles, but much easier to run through that the logging trail in the first 2km. Course marking – As nearly all of the marathon course follows the mountain biking trail, you really only need to follow the crushed white stone, but there are places where it’s not easy to see. The race organisers tied hazard tape to trees every 50m (red for ultra, yellow for marathon) and even spraypainted arrows on the road in a few places. I personally found it pretty easy to follow even in my marathon-brain state but apparently I was in the minority who didn’t get lost at all. Feed stations – There are checkpoints at kilometers 13, 24, 31, and 37 on the marathon course (a few extras for the ultra, but I didn’t write those down!). These were really just a volunteer with some bags of snacks (crisps, haribo, cookies, bananas, etc) plus bottles of coke and water by the side of the trail (no tables or chairs). I should point out that there are no toilets along the course, but you’ll be running in utter solitude for long stretches of time so squatting in the forest to do your business is really no biggie (but pack so loo roll in a ziploc just in case, as the race has a strict NO LITTERING policy so you’ll need to bring your tissue back with you). Required kit list – The race website listed a bunch of things that runners needed to present at registration and every checkpoint, so I brought all these with me only to find out that they were only vaguely recommended. The only items we were actually required to bring along were a water bottle and a waterproof jacket (and even then there was no checking at the feed stations, start or finish). The torch was mostly for finding your way around Viscri at night, and the map case and compass were replaced by an offline map app, and the whistle was presumably to ward off bears and sheepdogs, but we weren’t really told what do to in case of bear sighting anyway, as they’re really rare with the amount of noise and smells runners produce! 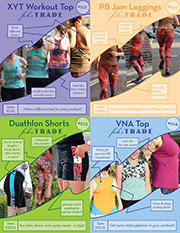 Recommended kit (IMHO) – These are all highly subjective, but I’d recommend trail shoes, a good running backpack, a waterproof jacket, water bottles or camelbak, whatever nutrition suits you, plus a backup phone battery and the aforementioned loo roll in a baggie. But back to the shoes – about half wore road shoes (including the first lady!) and were fine, but I was very glad to have my trail shoes, because we ran through really thick mud and standing water, and my trail shoes drain and dry off much more quickly than road shoes. But ultimately wear whatever you’re comfortable running 5+ hours in! Also weather depending, you may want suncream or sunglasses for the 4km or so in the meadows where there’s no shade. I used bug spray but I think the mud washed it off anyway – the bugs were only an issue if I stopped moving entirely. Maps – Instead of paper maps, we were all told to download the View Ranger app onto our phones and load up either the marathon or ultra course map in case we got lost. To be honest, I only opened the app once during the race, and that was just to see exactly how close to Sighisoara I was when I started to hear road noises. Photographer – There’s a very friendly race photographer, Paul, who followed our progress in a 4×4 as well as by mountain bike. But there’s only one of him and we all got quite spread out, so I only saw him once at the beginning of the race, though the organisers took photos of everyone at the finish line, too. If photos are important to you, get practising with those selfies! Wildlife – You are very unlikely to encounter any wolves or bears! Frankly, the professional sheepdogs are scary enough, but the shepherds were briefed ahead of time that we’d be coming through, and kept a close eye on them. I did see lots of birds, snails, a couple frogs, and a family of piggies, though, and heard lots of cuckoos in the forest (though strangely, no squirrels!). The local beer, Ursus, is rather good! Finish line & goodie bag – The race finish goes through the centre of the old town, through the main square (where you’ll get cheers and beers from those who’ve already finished! ), up the infamous wooden stairs, and then the road winds upwards again at the top of the stairs, finishing at the very top of the hill. This year we received a beautiful, hand crafted ceramic finishers medal, embroidered teeshirt, and a canvas tote bag. There was water at the finish, but most of us just went back down the hill and had a beer in the piazza cafes instead. We were also given access to a piazaa hotel to have a shower and change, though if accommodation changes in future (see below), you might just check into your hotel afterwards instead. Post race party – The post-race party was in the basement event space of one of the piazza hotels, and really was just a sit down, two course meal. Drinks were extra, and there wasn’t any music or entertainment. It was also very casual, so don’t bother packing nice clothes or dancing shoes or anything! It was really just a great opportunity to chat to the other runners and find out how their races went! There was nothing formally organised for Sunday morning so say your goodbyes at the party unless you make specific plans to meet up the next day. Sighisoara accomodation – I won’t go into the details here as I’ve already contacted the organisers, but our included accommodation was extremely disappointing. 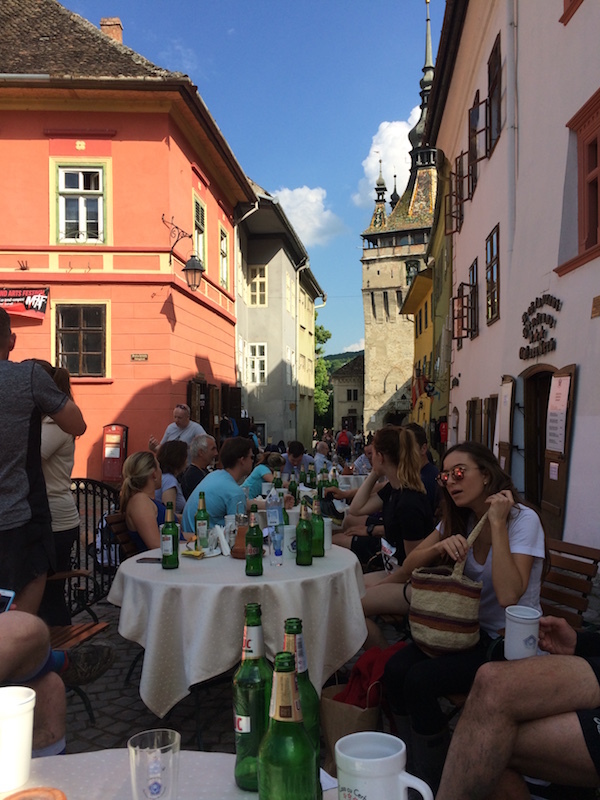 I’m told that they’ve learned from this and that it may not be included in future anyway – just know that there are loads of reasonably priced hotels in Sighisoara, so if a good bed and hot shower matter to you, just book your own room for the night. Flights & transfers – The pickup point for transfers back to the airports was from a restaurant just off the main square – very easy to find. Make absolutely sure you don’t miss the transfer time, though, as it was everyone’s responsibility to be there. If you’re flying back out of Targu Mures airport, use up your local currency before going through security, as the two shops on the other side of security/passport control only take Euros. But really, buy any snacks or souvenirs before you leave Sighisoara because the airport selection was really dire. 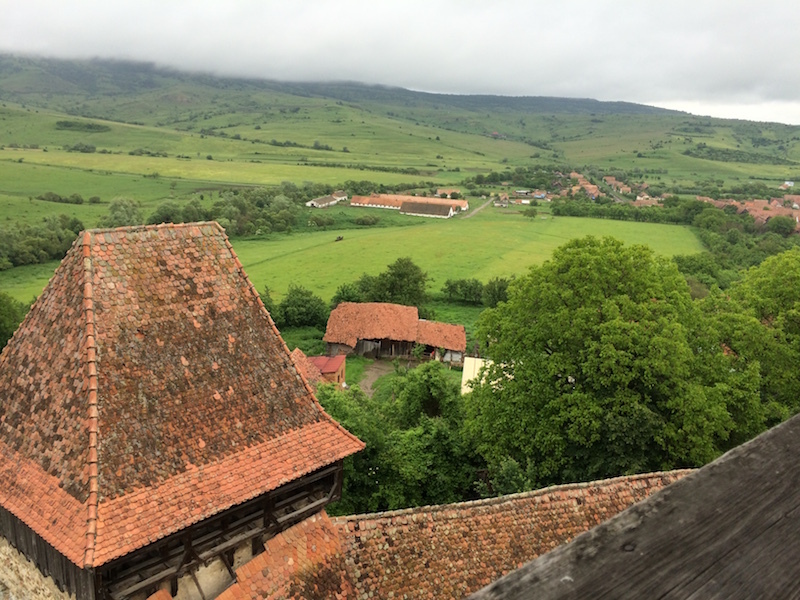 Things I wish I’d done: had my husband fly in to Targu Mures after the race and spent another week driving around the Transylvanian countryside! Several others thought to do this and I was so jealous! I should also point out that there’s a mountain biking trip through the same area in Transylvania, run by the European Nature Trust (who are the charity partner for the Bear Race and are really lovely people!). One of the five days is the exact route of the Bear Race marathon, and I can attest that the trail is perfectly suited for cycling! If you’ve got any other questions about something I’ve not covered here, feel free to leave me a comment below, but as time goes on my memory might get a bit hazy!